Technology is complicated, but marketing doesn't have to be. When tech companies play around with their marketing and have fun, people get to see the more human side of the brand. These are some of my favourite "fun" campaigns from major tech companies throughout the years. This classic April Fools' prank from Logitech is just one in a series of fantastic fake announcement videos they've released every year on 1 April. They're smart, and the tongue-in-cheek tone of the videos make us relate to the brand just a bit more. This year saw Logitech announcing the Logitech Hamster to replace the mouse. 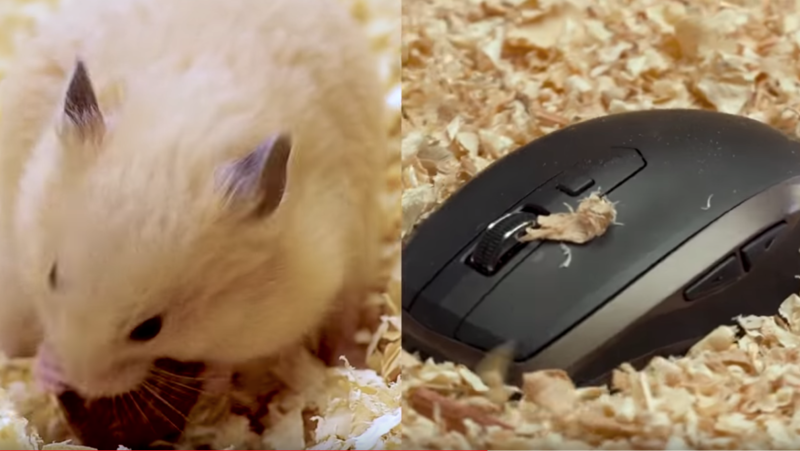 Sneakily, Logitech included some of their top-performing products as the new "hamsters" which promoted the products in a very low-key way that didn't take anything away from the fun tone of the commercial. What better way to liven up a brand than with a professional Tutter showing off his Tutting skills. I know - that sentence doesn't make much sense if you have no idea what it means to "Tut." From Wikipedia: "Finger-tutting is a type of dance that involves intricate movements of the fingers. The word "tutting" is a street dance style based on angular movements which are supposed to stylize the poses seen on reliefs in the art of ancient Egypt, and refers to "King Tut"
Samsung placed their brand firmly in the hallowed "young and trendy" category by announcing the Galaxy SII with their "Unleash Your Fingers" campaign. The fact that it's 2019 and we're still thinking about an advert for the Galaxy SII shows that having fun can increase the lifespan of your marketing campaigns. Just so you know that I'm not against Apple in any way (I'm still rocking my iPhone 6), I'm including this as an earlier example of a tech company thinking differently and having fun with their digital marketing. You probably know these videos featuring Justin Long and John Hodgman playing Mac vs. PC. The series was fun, and also accessible to people who may not understand tech-specs, but definitely understand "cool vs. uncool." It remains one of my favourite examples of a tech company pushing the envelope with their marketing in a light-hearted way. Marketing gives you the opportunity to tell the world who you are. Have fun with it!